For businesses who regularly change their signage or display messages, the amount of waste produced can be a concern. There will be the occasional sign or banner which can be re-used, but for the most part, we have to throw away out-of-date print. This waste is something many businesses want to try and combat, wherever possible. Limiting our impact on the environment is a concern for everyone, but it’s particularly relevant if your business has corporate responsibility targets to meet. In a move to offer more sustainable signage products, we’ve acquired a brand new substrate. Bubble board is a recyclable non-PVC printable board material made of polypropylene. It’s weatherproof and can be used both indoors and outdoors. Traditionally, it’s less common to create signage from environmentally friendly materials (like wood, paper and card). These materials offer lower durability than plastics making them unsuitable for many uses, particularly outdoors. But bubble board offers a unique solution to this dilemma. The material works just like most PVC panel and plastic foam boards. We can print directly onto bubble board (on both sides) and it can be cut and drilled. It’s also foldable, water resistant and lightweight, making it easy to carry, store and display. 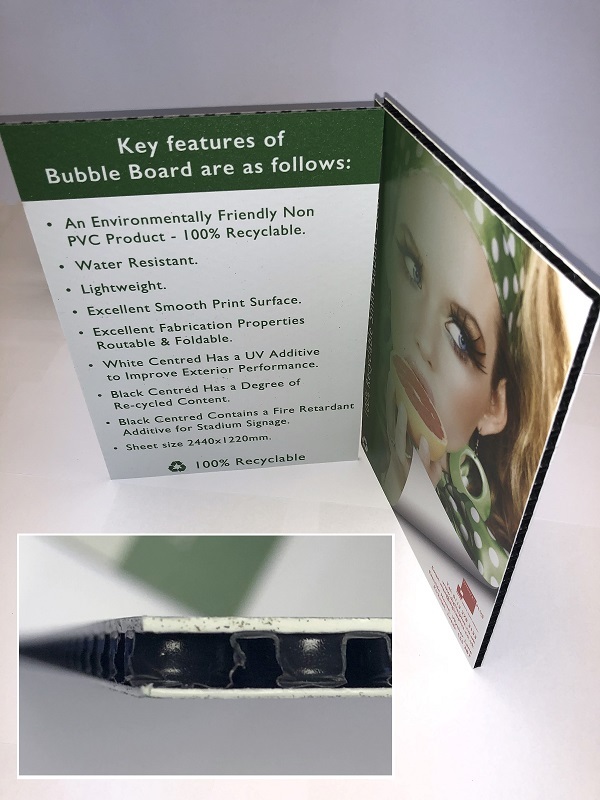 Many retailers and other large organisations have already made the switch to bubble board in an effort to go greener while keeping printing costs down. We’re really excited about this product as it’s suited to so many different uses. From wayfinding and health & safety signs, right through to displays boards, banners and outdoor signage, bubble board offers an eco-friendly alternative in all these areas. 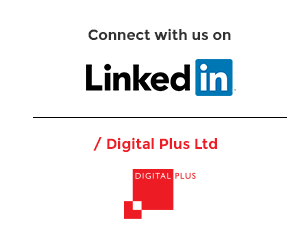 Are you interested in finding out more about bubble board? Or would you like to get a quote for one of your printed projects? Talk to one of our experts and we’ll help you get started.